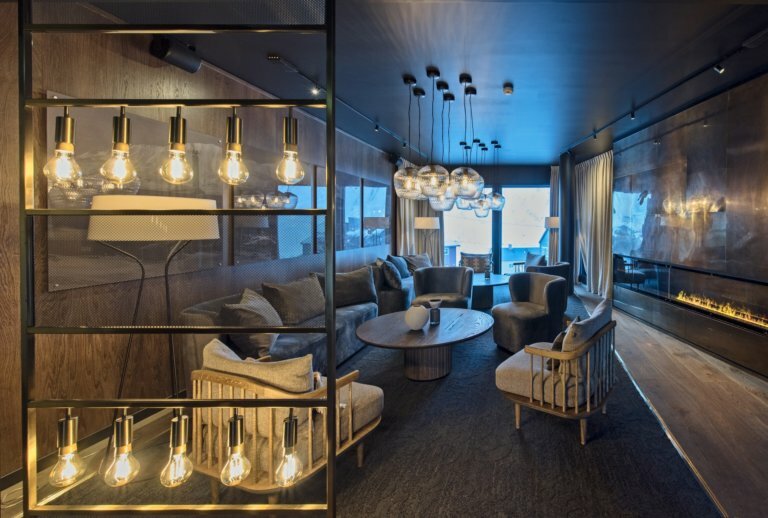 Stay in a modern, luxurious boutique hotel in one of the last wildernesses of the world. 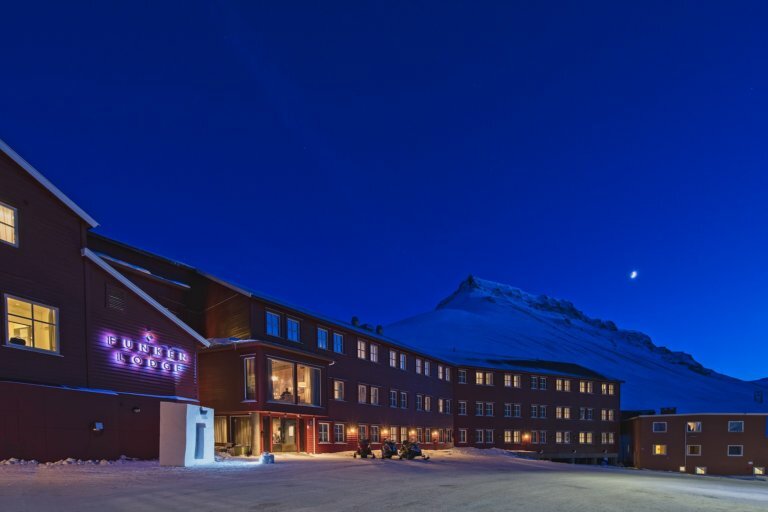 With modern comfort in historic surroundings, Funken Lodge offers a unique accommodation option in Svalbard. 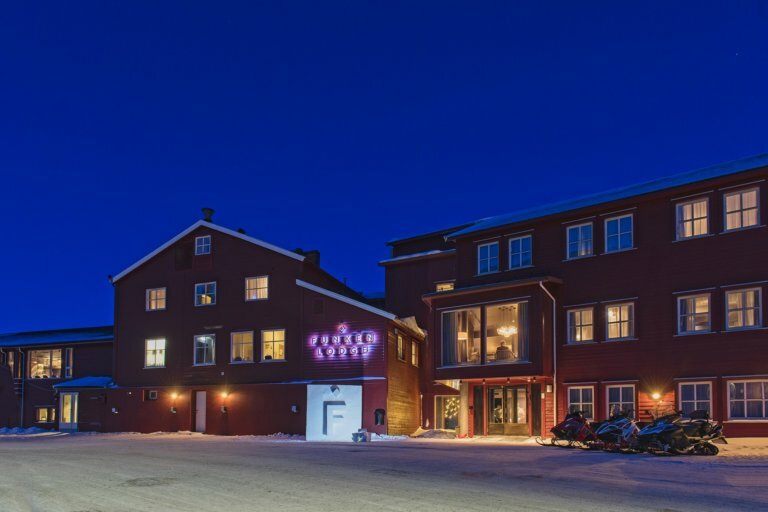 You will stay at the top of “the Hill”, and have great views of Longyearbyen and the Lars- and Longyear glaciers. 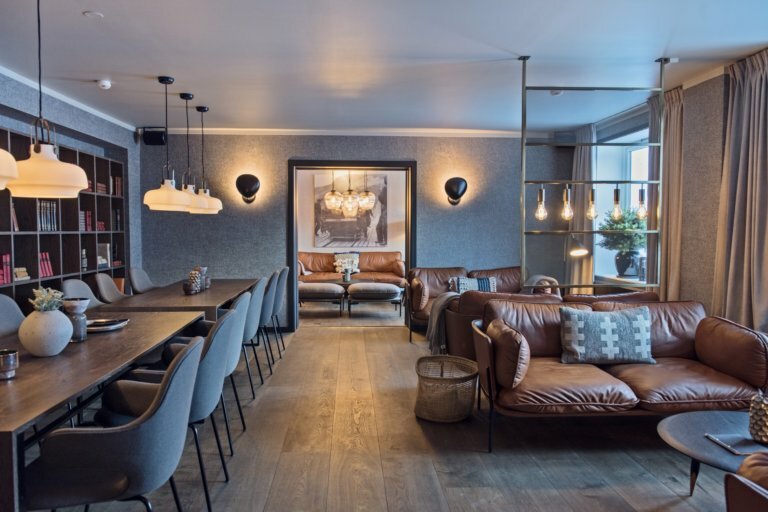 The hotel was built in 1947 but has been totally refurbished in a luxurious and relaxing Scandinavian design. 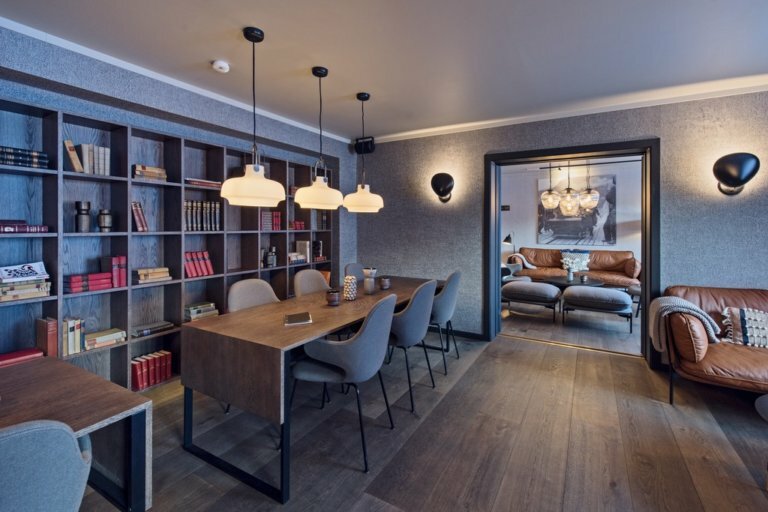 In the lobby you can enjoy the fire place and a large selection of books in the library Funken Lodge combines Arctic luxury and true adventure adventure, and is a home away from home making it the perfect place to start your Polar adventure! The hotel has 88 rooms, of which there are 59 double rooms, 10 twin rooms, 14 single rooms, four suites and an accessible room. All rooms are equipped with a coffee machine, bathrobe and slippers as well. 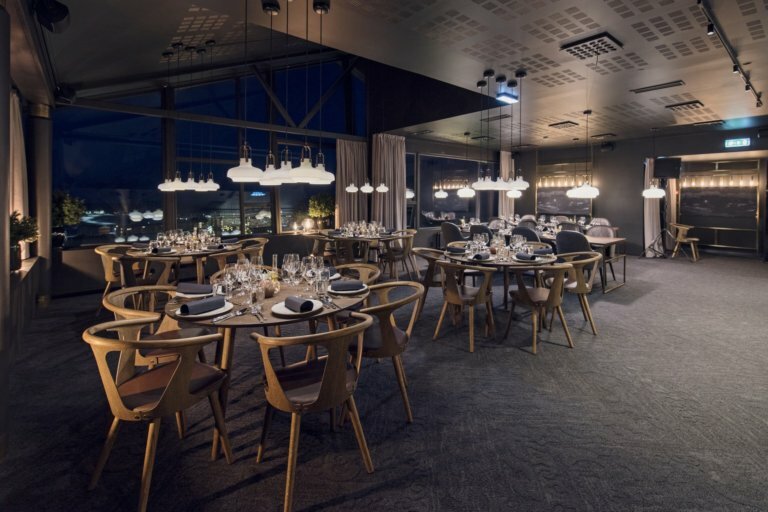 On the second floor at Funken Lodge you will find Funktionærmessen Restaurant. 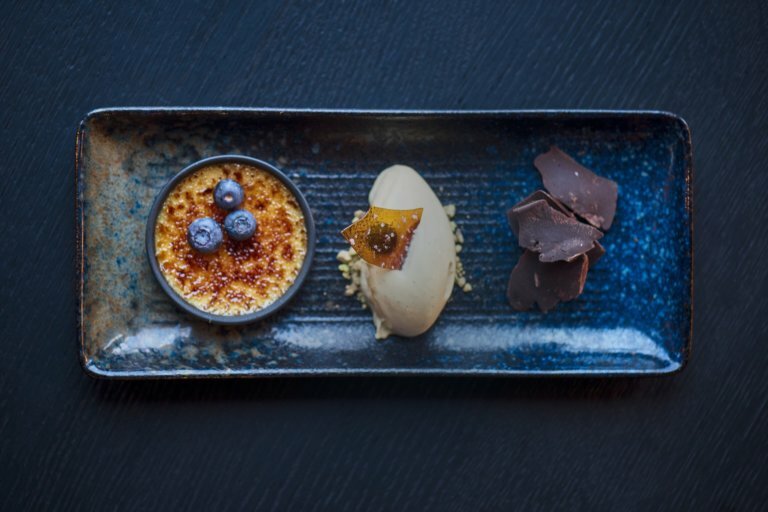 Inspired by an international cuisine and using only the best ingredients, the restaurant offers a truly spectacular dining experience. 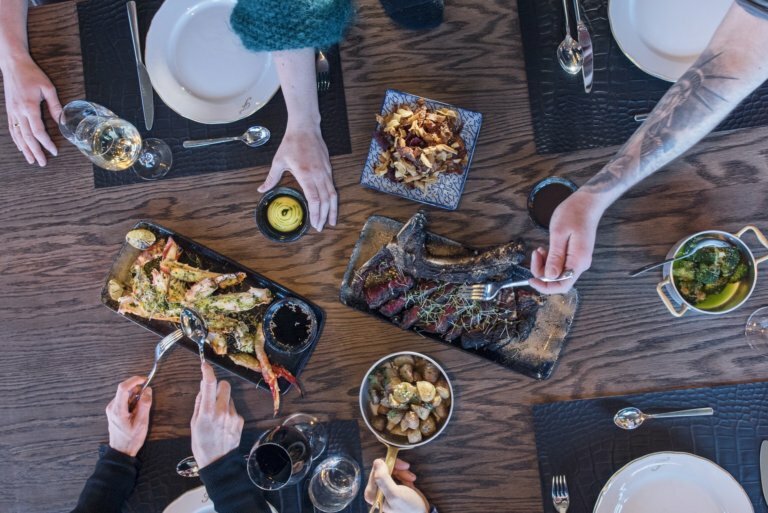 The menu is based on a “sharing” concept and includes King crab from Finnmark, dry-aged meat and reindeer from Svalbard within the delights on offer. 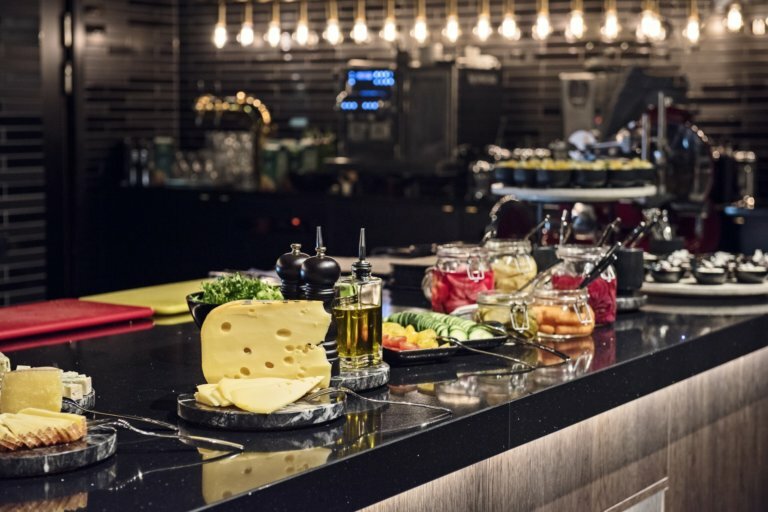 Combine beautiful food with the stunning panoramic views of the city, the Longyear glacier and the Hiorth mountain, and you will enjoy a truly memorable experience. 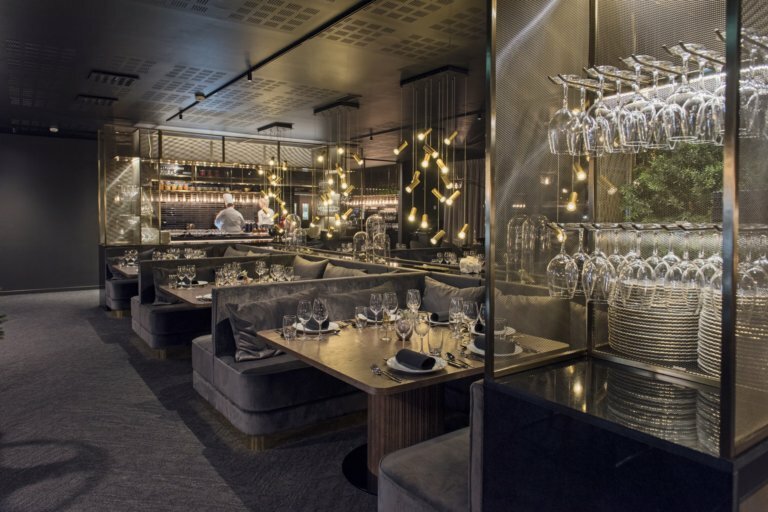 Enjoy a little bit of luxury in the on-site Champagne cellar! 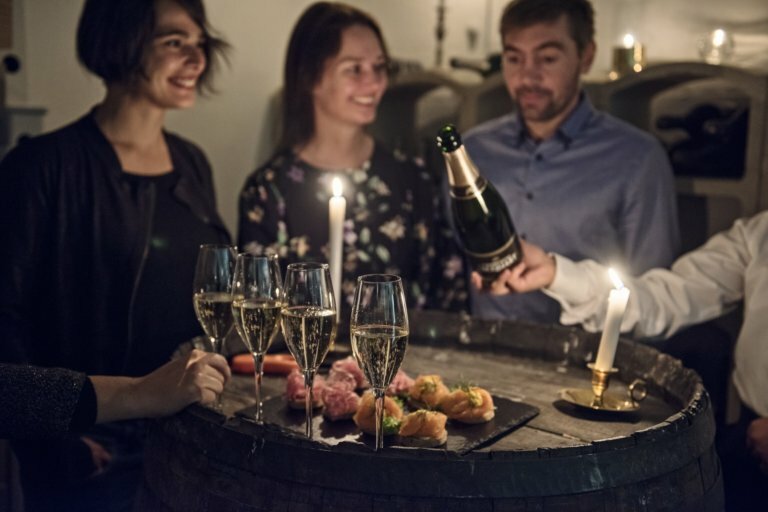 Here you can enjoy exclusive wine and champagne tasting in a room, where miners and officials picked up their metered quotas of alcohol! The champagne menu is extensive and includes a number of producers, as well as several very rare bottles. 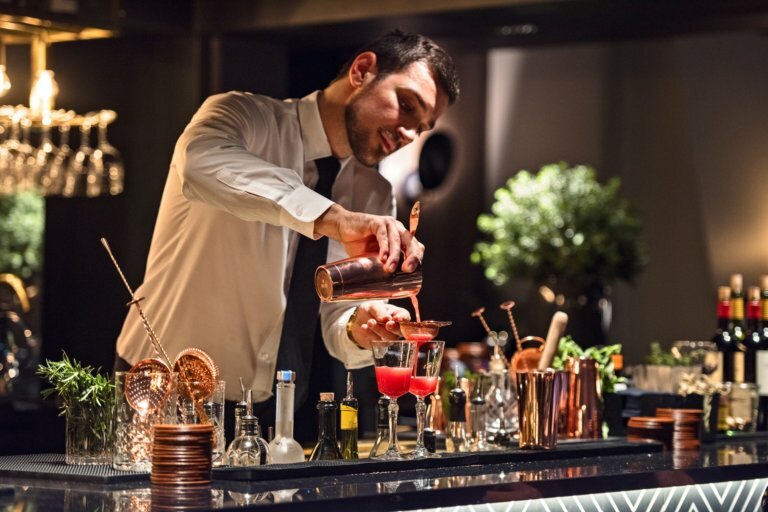 This is the ultimate aperitif before enjoying a delicious meal at Funktionærmessen Restaurant. The tasting includes three selected champagnes, canapées and well-versed staff to explain both the vintages and the location to you.